One thing I love about summers in France is the fact that you can buy large quantities of delicious seasonal fruit at very reasonable prices. 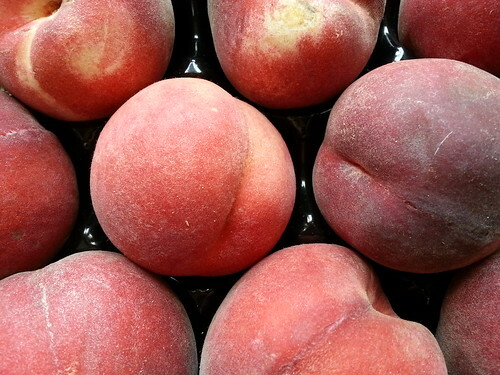 We came back from the supermarket with this box of peaches this week. Elsie couldn't resist and grabbed one on the way back to the car. Angus and I ate most of the rest.